Inclusive teaching is an approach to pedagogy that strives to create a learning environment where all students can learn regardless of their identity or background (Ambrose, Bridges, DiPietro, Lovett, & Norman, 2010). My efforts to establish an inclusive learning environment grew out of my interest in facilitating meaningful dialogue about difficult topics such as race, class, and politics in my courses. As a public health educator, it is essential to have a meaningful dialogue in the classroom about the range of lived experiences in the world and the social determinants of health. 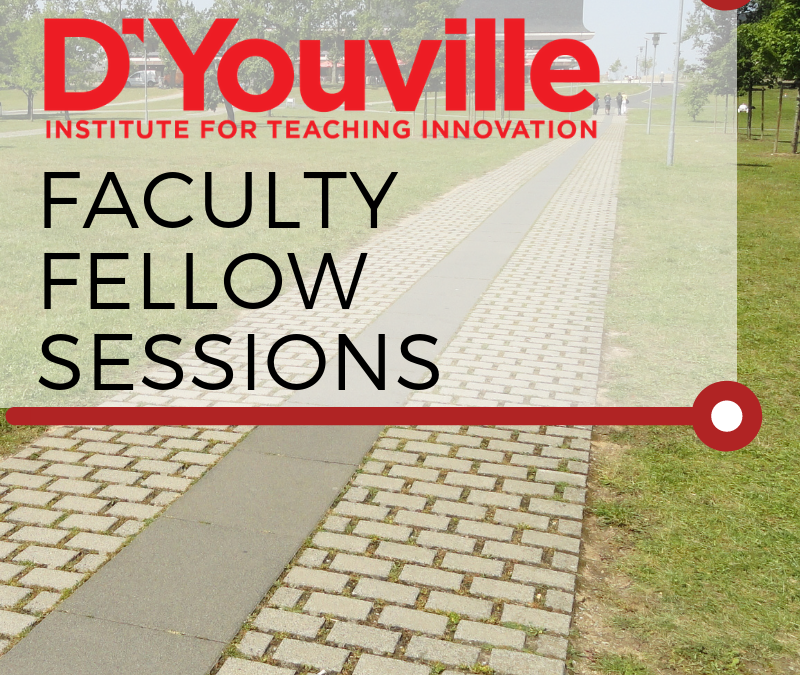 In June 2018, I participated in a Faculty Institute for Diversity at Cornell University to learn about developing campus initiatives for inclusive teaching. Inspired by the leaders at this Institute, I returned to campus to reflect on my current teaching practices and to pilot some of the strategies in my own courses. I began with an audit of my course policies and course design to identify the components that support an inclusive classroom climate. Then I created a plan to pilot new strategies in my courses this year to prioritize diversity, equity, and inclusion. In this paper, I will provide a brief review of the literature for inclusive teaching and why it is critical for higher education. Then, I will describe some strategies for inclusive teaching and share my experience with implementing these strategies in my own courses over the past year. Finally, I will share some resources on inclusive teaching and deliver a challenge to you. Diversity is essential for higher education (Alger, 1997). To achieve diversity, the classroom and campus climate must create learning experiences that are inclusive and supportive of academic success for diverse students. A 2017 report by the National Student Clearinghouse Research Center shows that black (39.5 percent completion rate) and Hispanic (48.6 percent) students are less likely to graduate than white (66.1 percent) and Asian (68.9 percent) students and that black students are more likely to drop out than graduate within six years (Shapiro et al., 2017). Classroom climate, social belonging (Ambrose et al., 2010), instructor transparency about learning objectives and assessment (Eddy & Hogan, 2014), student reflection (King & Baxter Magolda, 2005), cooperative learning (Johnson, Johnson, & Smith, 2014), and mindset (Yeager & Dweck, 2012) are key factors in student learning. Inclusive teaching strategies foster classroom climate, course policies, and course design that support diversity, equity, and inclusion. To create inclusive learning environments, course policies, classroom climate, and course design must intentionally create space for all students to learn. In 2018, the American Association for Colleges and Universities (AACU) called on colleges and universities to “fulfill the promise of American higher education by promoting diversity and equity (American Association of Colleges and Universities, 2018)” in response to the 2016 court decision Fisher v. University of Texas that found that diversity is an essential component of achieving “educational excellence” in higher education (American Association of Colleges and Universities, 2018). They specifically called for campus and curricular efforts to promote diversity. Diversity and inclusion statements are included on course syllabi to help set the tone for your classroom environment. It shows your students that you respect diversity and value inclusion. Your statement should represent the classroom environment you aim to create and the role you would like diversity and inclusion to play in that setting. In keeping with the spirit of Einstein’s viewpoint, it is my intent that students from all diverse backgrounds and perspectives be well-served by this course, that students’ learning needs be addressed both in and out of class, and that the diversity that the students bring to this class be viewed as a resource, strength and benefit. It is my intent to present materials and activities that are respectful of diversity: gender identity, sexuality, disability, age, socioeconomic status, ethnicity, race, nationality, religion, and culture. Your suggestions are encouraged and appreciated. Please let me know ways to improve the effectiveness of the course for you personally, or for other students or student groups. · All people have the right to be addressed and referred to in accordance with their personal identity. In this class, we will have the chance to indicate the name that we prefer to be called and, if we choose, to identify pronouns with which we would like to be addressed…I will do my best to address and refer to all students accordingly and support classmates in doing so as well. · If you feel like your performance in the class is being impacted by your experiences outside of class, please don’t hesitate to come and talk with me. I want to be a resource for you. · In our structured and unstructured discussions and dialogues, we will have many opportunities to explore some challenging issues and increase our understandings of different perspectives. Our conversations may not always be easy; we sometimes will make mistakes in our speaking and our listening; sometimes we will need patience or courage or imagination or any number of qualities in combination to engage our texts, our classmates, and our own ideas and experiences. Always we will need respect for others. Thus, an additional aim of our course necessarily will be for us to increase our facility with the sometimes difficult conversations that arise as we deepen our understandings of multiple perspectives – whatever our backgrounds, experiences, or positions. · I (like many people) am still in the process of learning about diverse perspectives and identities. If something was said in class (by anyone) that made you feel uncomfortable, please talk to me about it. Getting feedback from students over the course of the semester is important for fostering an inclusive climate and provides essential feedback on how the classroom climate is evolving. Angelo and Cross (2012) highlight the use of pre-course surveys and early- and late-term assessments as strategies for monitoring classroom climate and student learning. In my courses, I use a pre-course survey to ask students about their learning goals for the course, their major, other courses that will be taken concurrently, and if there is anything they would like to share with me that might impact their learning experience. It is useful for me to know if students are taking other courses with complimentary content so I can help to make connections across the courses during our class time together. While many students do not share any additional information when offered the chance, there are many students that do. Often this is an opportunity for a student to tell me before our first class together if they have any accommodations through the Office of Disability Services. Some students also share information about barriers to fully engaging in the course such as family situations or other personal circumstances. This helps me to start the semester off with a reminder that while I have expectations for the course and have created a plan to meet a range of teaching, research, and service obligations during the semester, students are also in the process of creating their own plan to juggle their lives for a new semester and that there may be a period of adjustment to find a set of strategies that will work for the term. What is working well for you in this class? What is not working well for you, or what concerns do you have? What could I do differently to improve your learning experience in this class? What could you do differently to improve your learning experience in this class? By asking students to think about what they can do in addition to what I can do to improve the course learning experience, it is an opportunity for self-reflection in addition to providing feedback on my own teaching strategies. By reflecting on their own role in their learning, the feedback provided has generally been very constructive and actionable. Often responses to this assessment provide important information on student preferences that I am able to address during the current semester. Students appreciate responsiveness in real time to their feedback. One example of this was during an online course where students provided feedback that they wanted more detailed guidance on assignments. It was week five of the semester, so I was able to revise the assignments for the remainder of the semester to provide more detailed guidelines. What aspects of the course least contributed to your learning? What can the course instructor do to better support student learning in this course? Please be specific and provide examples. What suggestions or advice would you give to students taking this course in the future to help them have a good learning experience? Liquify the Syllabus! This is an exercise developed to ensure that courses are student focused. Please take the course syllabus and make 3 suggestions for improvements to make the course more engaging. In the late-term assessment, students often recognize adjustments made from the early-term assessment when describing what most and least contributed to their learning. The late-term assessment provides actionable information from students about the design and delivery of the course that I use in making adjustments to course design and delivery in subsequent semesters. As described above, student formative feedback included asking for more detailed guidance for assignments. After receiving this feedback, I implemented a new format for presenting instructions for assignments based on the research of Mary Ann Winkelmes, former Director of Harvard’s Derek Bok Center for Teaching and Learning and the Principle Investigator of a project on Transparency in Teaching and Learning in Higher Education at University of Nevada, Las Vegas. The approach involves increasing transparency to present students with the assigned task, the purpose of the assignment, and finally the criteria for evaluation. Evidence shows that more transparent assignments in addition to providing clarity to what is expected, also benefits students that enter college unfamiliar with typical coursework, grading practices, and expectations, lead to higher quality work, and boosts motivation (Winkelmes et al., 2015). Based on student comments on the Student Satisfaction Survey at the end of the term, assignments were no longer a concern for students. One student even commented, “always returned emails promptly, clear expectations and explanations of assignments”. Two years ago, I began to use Fink’s (2013) Taxonomy of Significant Learning for integrated course design. This approach enables the systematic design of courses to achieve six types of learning: foundational knowledge, application, integration, caring, the human dimension, and learning how to learn. Using backward design, you start with what you hope for your students five years down the road, long after they leave your classroom. It asks you to think about what you would like them to be able to do and the people you would like them to be. Starting with this ‘big dream’, you establish learning objectives then build teaching and learning activities that work towards those goals and finally assessments to measure if learning is achieved. One of the key features of this approach is using ‘educative assessment’ to measure student learning and provide timely feedback. With educative assessment, students participate in forward-looking authentic assessments that replicate or simulate realistic contexts that professionals face in professional settings and civic life rather than backward looking or auditive assessments of learning. Students are provided criteria and standards so they are not just learning how to do something, but they are learning to do it well. In addition to evaluation according to criteria and standards, students participate in self-assessment. During class time, students engage in active learning where they are doing authentic assessments, observing others, and engaging in reflection. Each course works towards a ‘Rich Learning Experience’ where students demonstrate multiple types of learning on one culminating project. In each course, I focus on the primary course content, a secondary skill area, and integrate High Impact Practices (HIP) or those practices that research has demonstrated to have a significant impact on student learning such as e-portfolios, collaborative projects, service learning, writing intensives, and global learning (Kuh, 2008). Real time assessment techniques such as early and late term assessments and active learning strategies such as minute papers and think-pair-share are used in each course to understand course dynamics and to make mid course adjustments to foster a productive learning environment (Harrington & Zakrajsek, 2017; Maki, 2017). Fink’s model includes receiving and giving timely feedback, integrates multiple types of learning, and includes criteria and standards to measure a range of student learning outcomes through educative assessment which further fosters a classroom climate of inclusion. One example of an inclusive teaching practice in my courses is the Gallery Walk. In my Research Methods course, students work in teams to develop a research proposal over the course of the semester. At the start of the team project, students participate in a Gallery Walk to establish ground rules for working in groups. In a Gallery Walk, students circulate around the room in small groups to respond to prompts on chart paper. Once each group visits each station and provides input, the students are provided with time to circulate and read what others have also contributed. The Gallery Walk for setting team ground rules included: What qualities do you value most when working in teams? What are forms of communication that support collaboration? What are the characteristics of your favorite learning experience? This helped students to brainstorm qualities, characteristics, and strategies that would be conducive for working in a team and setting a mutually agreed upon baseline. By developing course content to reflect diversity and the barriers to inclusion, students have greater exposure to diversity and are more likely to recognize or see something they relate to or to observe others in their classes seeing something they recognize or relate to as well. To ensure that course content recognizes diversity and barriers to inclusion this semester in my Global Health course, I included a discussion of positionality, prioritized diversity in the assigned readings and examples provided in class, and integrated cultural competency training in the curriculum. At the start of the semester, a Country Project is introduced where students each select one country in the world from a list of low- and middle-income countries to focus on for an in-depth research project throughout the semester. This project is introduced and accompanied by a discussion of positionality to acknowledge that we will be reading, learning, and speaking about people and places that we most often will have no lived experience in and how to do that respectfully. We also discuss how terminology evolves over time and commit to doing our best to reflect the most respectful language and to help each other in learning the most appropriate way to speak about places we have not been and about people that may live very different lives from our own. Challenges come up early in the semester when students use the common terminology of “3rd world” to refer to developing or low-income countries. We discuss that the terminology 1st and 3rd world implies that some countries are better than others and how to better reflect the issues at hand – which is most often socioeconomic status – by saying developing or low-income instead. In selecting the course readings and examples, I intentionally selected a handful of popular press books focused on global health for an in-class book club. Students meet in class four times during the semester to discuss the book in light of global health course concepts. These books represent a range of country contexts, socioeconomic statuses, and cultures. Likewise, when selecting examples to highlight in the classroom, I intentionally select first person accounts from individuals around the world. For example, a video of Nepalese children teaching about hand washing and hygiene as part of an intervention to reduce open defecation and to increase hand washing and a video of Syrian children providing a tour of their life growing up in a refugee camp. Finally, to foster a more inclusive classroom climate, I integrated a class on cultural competence where guests from the Community Health Worker Network of Buffalo did a two-hour workshop with students on implicit bias. The students indicated that while they have had a number of cultural competency trainings during their academic careers, this one had the greatest impact. We followed up the training with in-class reflection and discussion about observations about bias in their daily lives. Students shared observations from their workplaces and family lives that indicate the training had a lasting impact. These are just a few examples of the ways I have integrated inclusive teaching practices into my course policies, design, and curriculum. There are ample resources shared below to inspire inclusion in your classes as well! I challenge you to make one change for the upcoming semester to foster a more inclusive classroom climate or learning experience for your students. The Institute for Teaching Innovation is a great resource to support implementing the strategies described here. You can schedule an appointment over the summer to make a plan for your Fall courses! Alger, J. R. (1997). The educational value of diversity. Academe, 83(1), 20-23. Ambrose, S. A., Bridges, M. W., DiPietro, M., Lovett, M. C., & Norman, M. K. (2010). How learning works: Seven research-based principles for smart teaching John Wiley & Sons. Angelo, T. A., & Cross, K. P. (2012). Classroom assessment techniques Jossey Bass Wiley. Angelo, T. A. (1993). A” teacher’s dozen. American Association of Higher Education Bulletin, April, , 3-13. Eddy, S. L., & Hogan, K. A. (2014). Getting under the hood: How and for whom does increasing course structure work? CBE—Life Sciences Education, 13(3), 453-468. Fink, L. D. (2013). Creating significant learning experiences: An integrated approach to designing college courses John Wiley & Sons. Harrington, C., & Zakrajsek, T. (2017). Dynamic lecturing: Research-based strategies to enhance lecture effectiveness Stylus Publishing, LLC. King, P. M., & Baxter Magolda, M. B. (2005). A developmental model of intercultural maturity. Journal of College Student Development, 46(6), 571-592. Maki, P. L. (2017). Real-time student assessment: Meeting the imperative for improved time to degree, closing the opportunity gap, and assuring student competencies for 21st-century needs Stylus Publishing, LLC. Winkelmes, M., Copeland, D. E., Jorgensen, E., Sloat, A., Smedley, A., Pizor, P., . . . Jalene, S. (2015). (2015). Benefits (some unexpected) of transparently designed assignments. Paper presented at the The National Teaching & Learning Forum, , 24(4) 4-7.